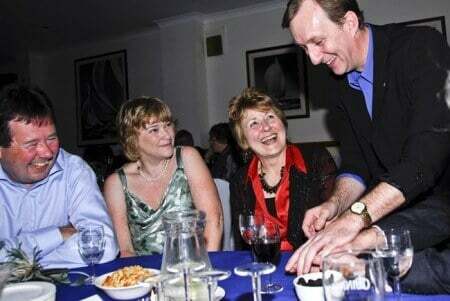 Magician Oxfordshire Fun Entertainment at its best Magic OZ. 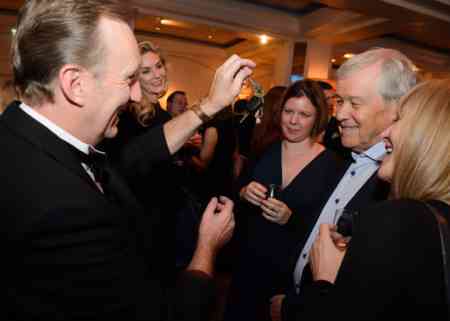 Whether you want a top-class Oxfordshire close up magician or just a touch of magic for your next corporate event, Magic Oz will fine tune his magic repertoire to suit you and the tone of the event. With Magic Oz, you never get a bland, ‘one size fits all’ approach. Instead, you get a specific package of tailor-made magical entertainment that’s a perfect match for your party, event, occasion or celebration. 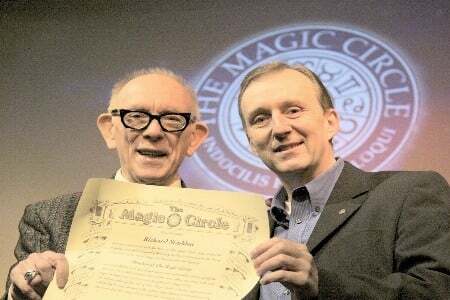 Throughout Oxfordshire, Surrey, London, Kent, Middlesex, Sussex, Hampshire and the south east, Magic Circle Magician Magic Oz has brought his unique and very popular brand of magic and sleight of hand to all kinds of events, from county shows and fairs to school shows/workshops and children’s parties; from important corporate events with VIP guests to weddings and trade shows. In every case, Magic Oz tailors the magic and presentation appropriately, so the entertainment is always perfectly suited to the occasion. 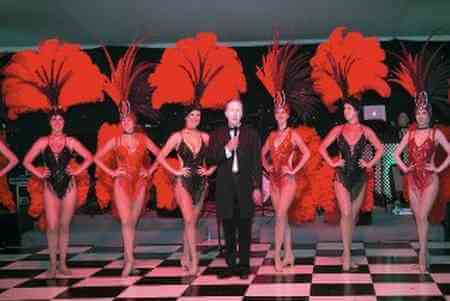 Tel: 07974 357 911 –0208 549 9234 –Looking for a party magician Oxfordshire? Magic Oz can help you to turn a good party into a great one! 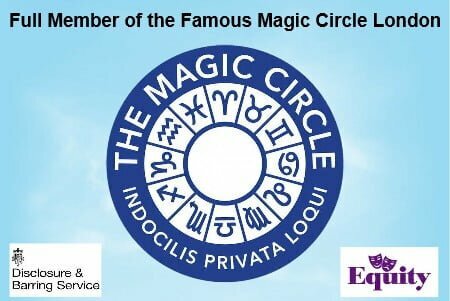 Office party, Special Corporate event, as the Corporate Magician Oxford and Oxfordshire, wedding, school party or a family party in the privacy of your own home, you can rely on Magic Oz, a member of the Magic Circle, to bring that special touch of magic to the occasion! He’s thoroughly reliable, easy to work with and always guarantees full satisfaction! 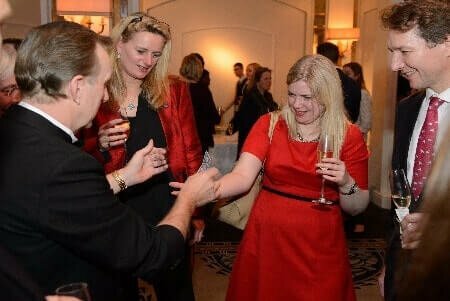 Oxfordshire magician Magic Oz has over twenty years professional experience, working mainly throughout the south and south east. His reliable and thoroughly professional approach to magical entertainment for all occasions has made him one of Oxford’s busiest and most in-demand magicians! Tel: 07974 357 911 –0208 549 9234 –Oxfordshire magician Magic Oz is also a very popular wedding magician, offering strolling ‘walkabout’ magic, special children’s entertainment and shows to keep the little ones occupied or cabaret shows that the whole family can enjoy after dinner. Every wedding deserves that special touch of magic that Magic Oz provides, delighting friends, relatives and guests with the kind of fun, easy-to-enjoy magic that makes the day even more memorable.Magic Oz is an experienced Charity Auctioneer Oxfordshire too, who has worked all over Oxfordshire as well as neighbouring counties and the south east. 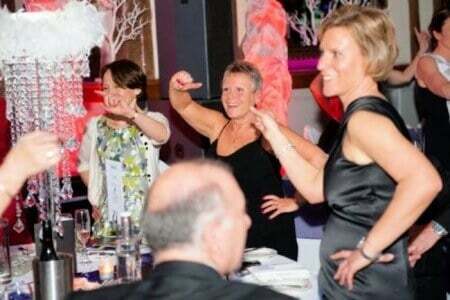 Whatever the nature of your charity or fund-raising event, Magic Oz can be your entertaining MC and Auctioneer. He has the experience to inject plenty of fun and enthusiasm into the proceedings, making everyone feel involved and encouraging people to place the highest possible bids! Bouncy castle click here to search bouncy castle for hire on Google.–Tel: 07974 357 911 –0208 549 9234 –Contact or call now for a friendly chat with no obligation! 07974 357 911 / 0208 549 9234. The best magician in Oxfordshire and smiles around!